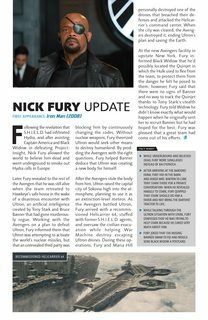 When the threat of Ultron rears its computerized head, the Avengers must assemble once again — and the MCU Guidebook is right there with them! 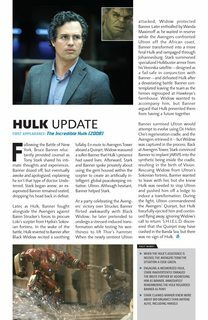 Our comprehensive coverage of the fan-favorite Marvel Studios films and Marvel Television shows continues as we reveal everything you need to know about Earth’s Mightiest Heroes’ second big-screen blockbuster! 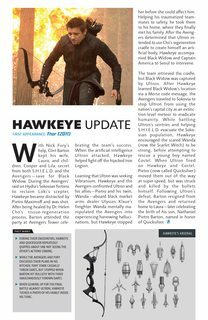 With fact sheets, movie-to-comic comparisons and behind-the-scenes production art and stills, this issue is packed with profiles and updates on the Avengers themselves — Captain America, Iron Man, Thor, Black Widow, Hawkeye and Hulk — as well as allies and new members including Quicksilver, Scarlet Witch, War Machine, Falcon and Vision! And don’t forget Ultron himself! Plus: Nick Fury! Loki’s scepter! And more! Relive the thrills of Marvel’s Avengers: Age of Ultron, and continue building your indispensable library of Cinematic Universe reference books!